Global design recruiter Bespoke Careers approached The Allotment after the Design Week Awards last year and asked us the following question, ‘How can we build on our positive brand profile and tell our story in an original and compelling way’? Our answer was to engage with them to find the ‘thing’ that really makes them stand out within their sector. What we found, after extensive research, was that they are not just focused on delivering the best candidates to their architecture and design clients, they also go beyond the call of duty to support individuals, their careers and the design sector, in general. It’s the things they do that can’t always be seen which makes them different in the minds of their clients and candidates. Support. 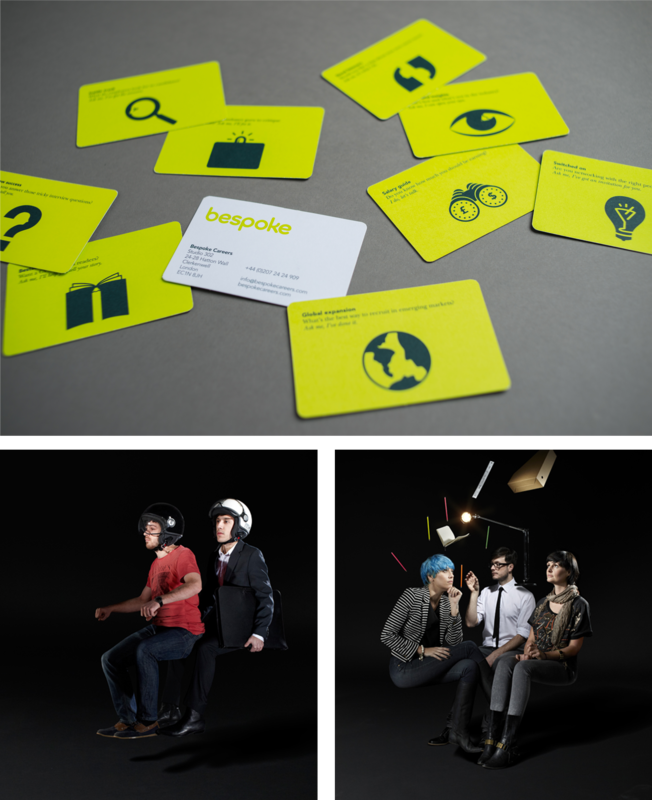 therefore, became the big idea for the rebrand, and this at Bespoke is more than an arm around a shoulder. It’s very much relationships built on intimate knowledge, enthusiasm and trust. The 'Supportive' brand proposition works with a series of intriguing stories. These stories, photographed by John Angerson will be used in advertising campaigns in the UK, Australia and Hong Kong as well as on their website and other candidate and client communications. Each story was researched and written by Neil Baker, our writer on this project. As well as developing the new brand proposition we evolved Bespoke's logo to improve clarity in their International markets and developed brand guidelines to cover the design of a new website and other communication touchpoints.